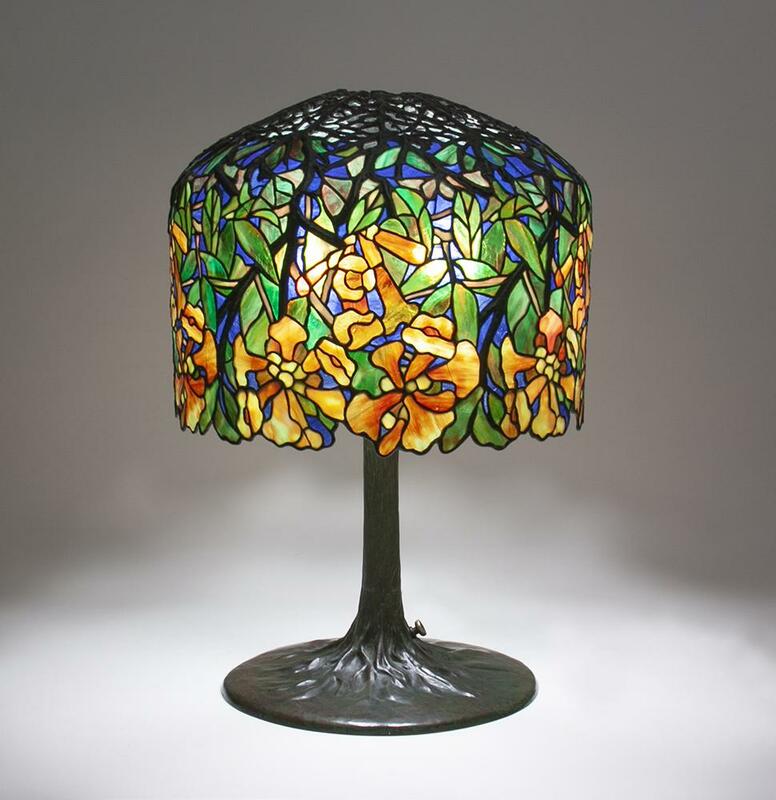 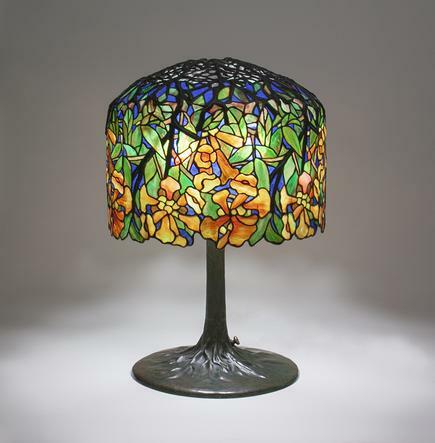 A rare Tiffany Studios Trumpet Creeper Table Lamp, the shade featuring a climbing trumpet creeper vine which descends from a reticulated bronze canopy, the vibrant orange trumpet creeper blossoms hanging down from heavy branches to form an uneven border, the flowers and striated green leaves standing out against a deep blue sky, on a bronze "Tree Trunk" base in a rich brown-green patina. 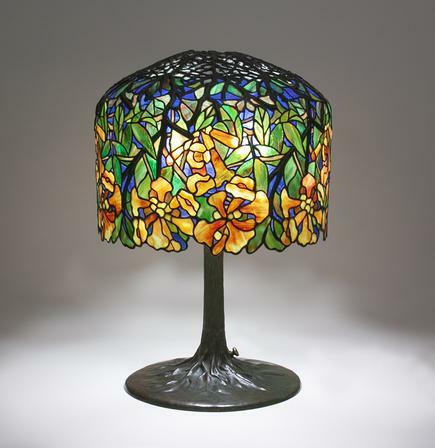 The Trumpet Creeper is one of a few rare Tiffany lamps wherein the overall design of the shade and base represent a flowering tree or vine; though the shade was made using on the same wooden block as the famed Wisteria Lamp, relatively few examples of the Trumpet Creeper were produced. 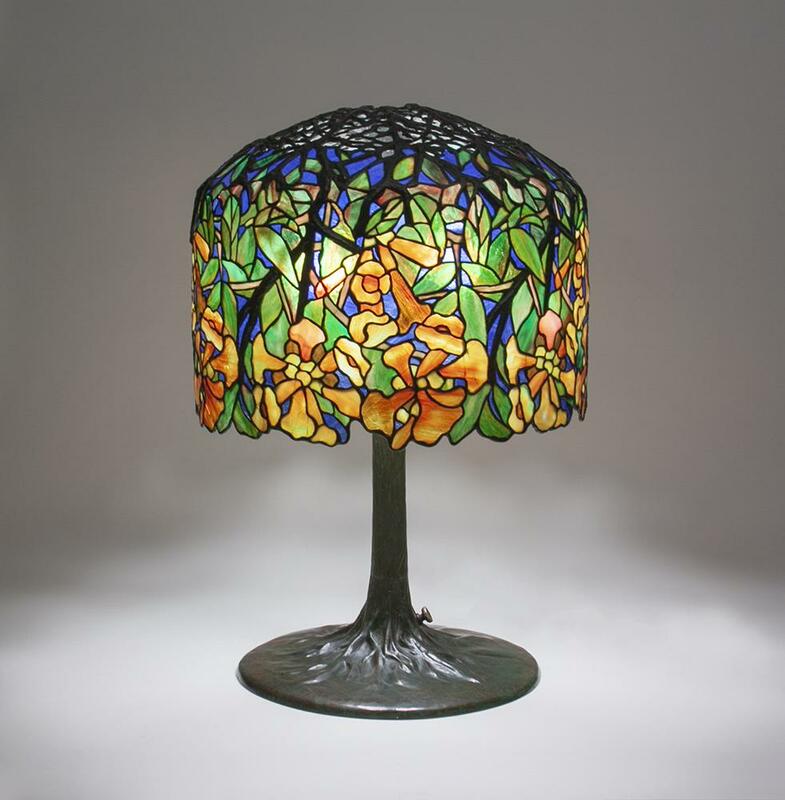 A rare Tiffany Studios Trumpet Creeper Table Lamp, the shade featuring a climbing trumpet creeper vine which descends from a reticulated bronze canopy, the vibrant orange trumpet creeper blossoms hanging down from heavy branches to form an uneven border, the flowers and striated green leaves standing out against a deep blue sky, on a bronze Tree Trunk base in a rich brown-green patina.